This is the perfect place to call home! 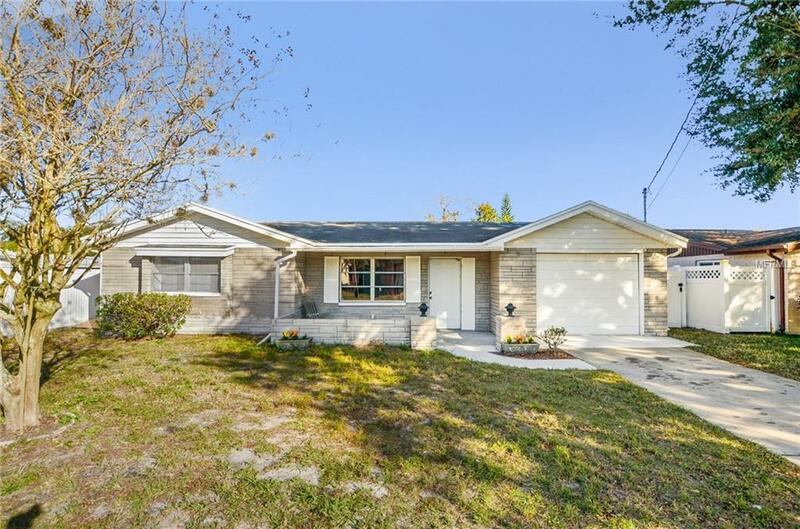 Home features fantastic open floor plan with 2 bedrooms, 2 baths & 1 car garage, Florida room with a HUGE yard & BBQ area also large screened in back porch. Open dining & living room area. Spacious open kitchen with beautiful cabinets, appliances & pantry. Kitchen opens up to large great room, great for entertaining! Large master suite with closet. NO CDD OR HOA FEES! NOT IN A FLOOD ZONE! Close to neighboring cities like New port Richey & Tarpon Springs convenient to US 19, major highways, restaurants, medical, shops, beaches, parks & schools. A MUST SEE! WON'T LAST!